On Sunday, October 17, 2010, at a reception at Beverly Hills, CA, the most eminent Polish actor, Jan Nowicki will receive the first annual Modjeska Prize, given by the Helena Modjeska Art and Culture Club in Los Angeles to a Polish actor or actress for their outstanding achievements in practicing their craft on stage and film. The award serves to commemorate Polish actress Helena Modrzejewska (1840-1909) who emigrated to California after establishing herself as the foremost theater actress of her times. Nodrzejewska, known in the U.S. as Modjeska lived in Orange County since 1873 to her death in 1909. Her memoirs recently inspired a novel by Susan Sontag, In America(2000). She is the beloved patron of our Club. 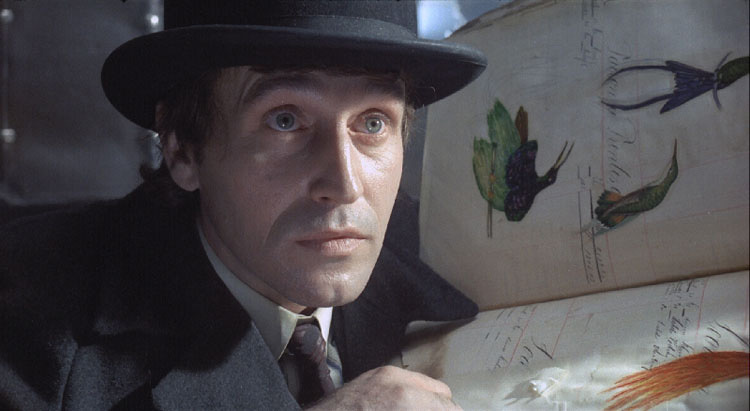 Jan Nowicki belongs among the most talented and accomplished Polish actors of all time. In 1964, he completed his studies at the State Higher School of Theater in Kraków (where he teaches) and debuted at the Old Theater (Teatr Stary) where he has worked until today, appearing in dramas by Wyspianski, Dostojewski and others. Since 1963, he played main roles in dozens of films by the most eminent directors: Filip Bajon, Jerzy Wojciech Has, Jerzy Hoffman, Andrzej Kondratiuk, Wojciech Marczewski, Marta Meszaros, Barbara Sass, Andrzej Wajda, Krzysztof Zanussi and Andrzej Żuławski. He published a book of essays Between Heaven and Earth and is a recipient of the most important state awards, including the Commander's Cross with Star of the Order of Polonia Restituta. Jeszcze nie wieczor (Before Twilight) directed by Jacek Blawut. During his travel to California, Mr. Nowicki is accompanied by his wife, Małgorzata Potocka, a famous dancer and choreographer, a graduate of the Warsaw Ballet School. She debuted in 1972 at the Grand Theater in Warsaw. During the 1970s she went on to organize a dance ensemble, Naya-Naya, later known as Sabat, that toured the world. She created many ballet spectacles for the stage & TV. See the Teatr Sabat website (www.teatr-sabat.pl).